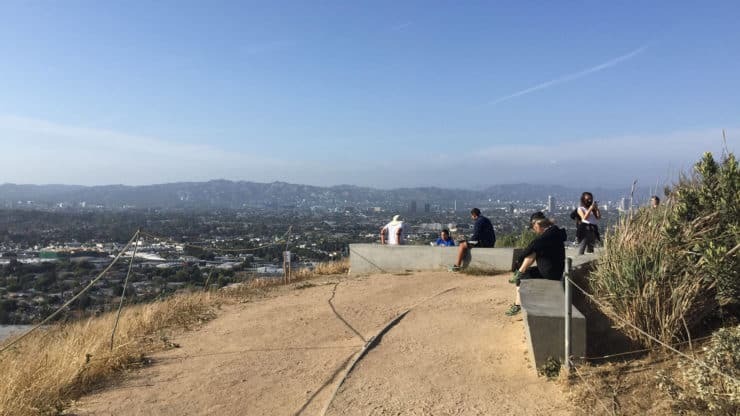 The Baldwin Hills Scenic Overlook hike offers views and quick hiking fix in the middle of LA. The trail to the summit goes up switchbacks that climb a tough 300 feet in about a mile, making it also a popular workout spot. 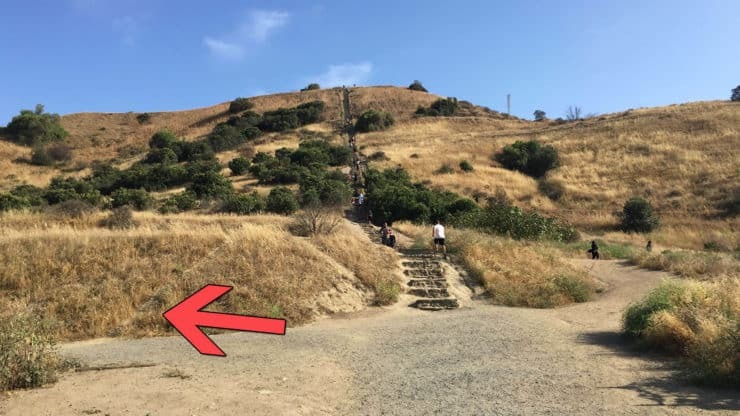 If you want to skip the switchbacks and just punish yourself, you can hike up all 282 steps of the Culver City Stairs. Or you can just take the stairs on the descent. 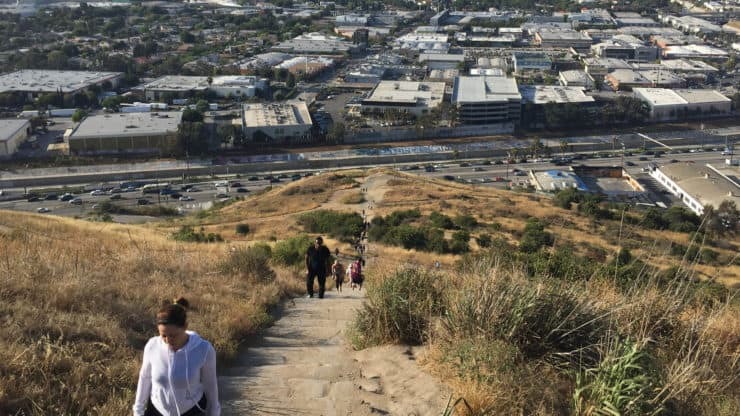 This hike takes the more scenic switchback route to the top of Baldwin Hills Scenic Overlook, where you’ll get sweeping views of LA, the Hollywood Hills, the Pacific Ocean, and the San Gabriel Mountains. 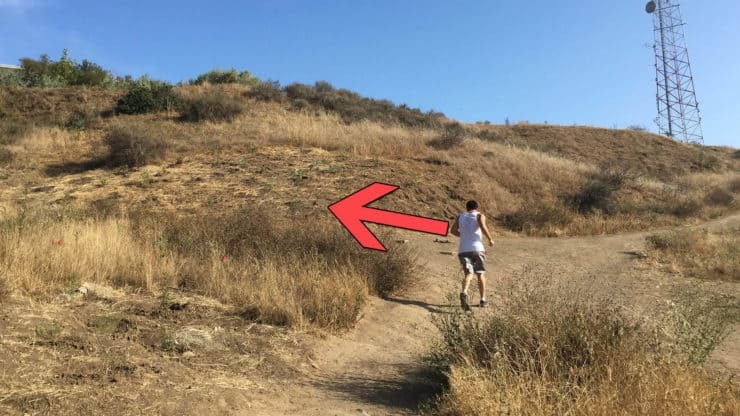 It’s a fun hike to hit right in the middle of LA, and great training for the tougher peaks that you tackle on the weekend. 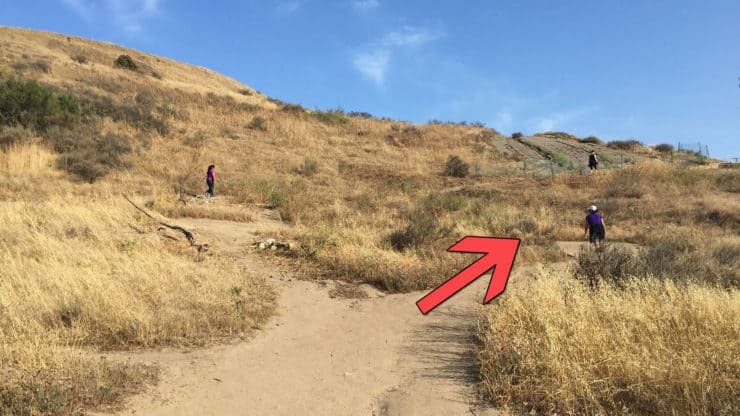 Where is Baldwin Hills Scenic Overlook? Use this trailhead address: 6019 Jefferson Blvd, Los Angeles, CA, 90016, USA. You can park for free on the streets outside of the park entrance (which this address has). 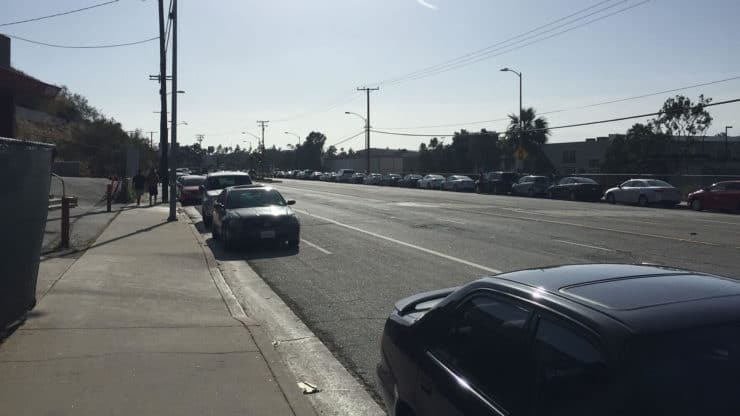 Street parking is popular so you may have to park farther away and walk to the entrance. You can also drive into the official lots. 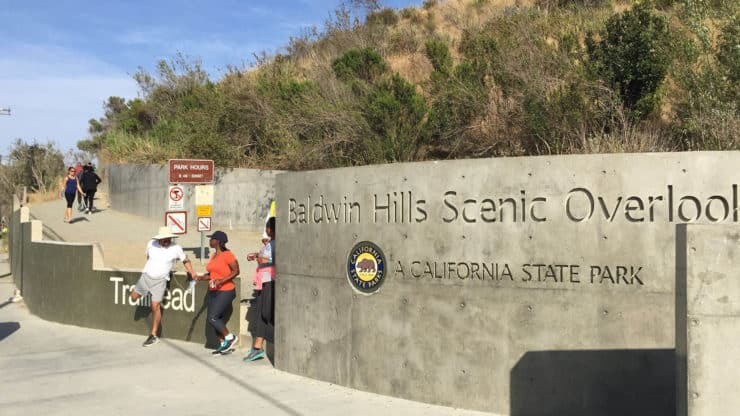 There’s a fee to park at Baldwin Hills Scenic Overlook State Park. If you have a California State Parks Pass, entry is free. There have been break-ins in cars parked on Jefferson. If you park there, please hide any valuables. You can also get to Baldwin Hills Scenic Overlook with public transportation, especially if you’re staying in downtown LA. Take the Metro Expo Line toward Culver City, get off at the La Cienega / Jefferson Station, and walk 5 minutes to the trailhead. The park is open from 8am to sunset. I’ve seen people working out here earlier though. You don’t need any special hiking gear for this hike, you can do it in workout clothes. There are a lot of cut-offs and side trails. 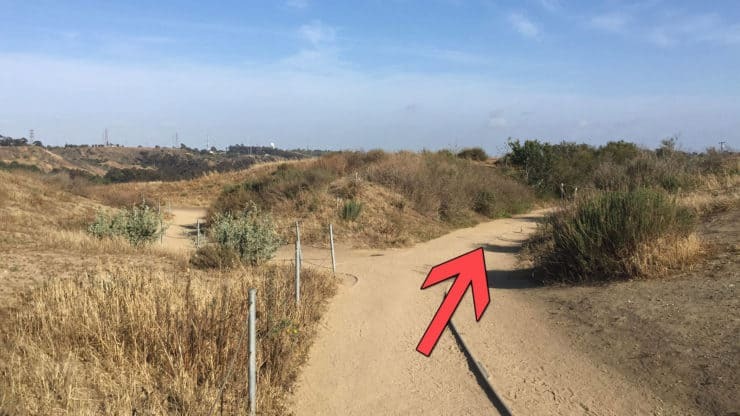 You won’t get lost at Baldwin Hills Scenic Overlook, but stick to the main trail directions to protect this fragile habitat. The hike winds it’s way back and forth on switchbacks to the overlook area. 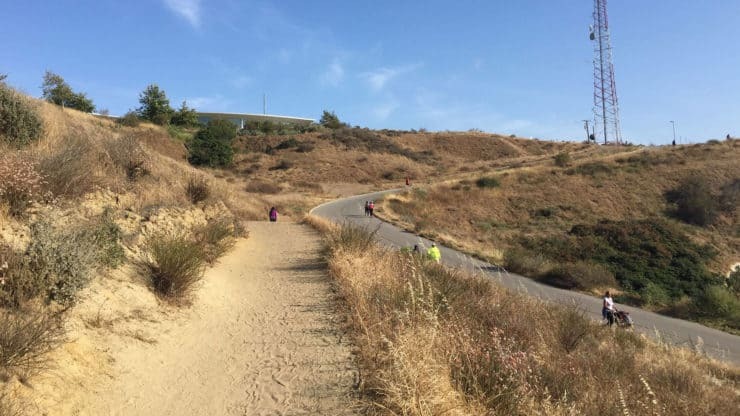 Baldwin Hills Scenic Overlook is a big bump in the middle of Culver City, and you climb it. This hike takes the switchbacks, so it’s not as brutal as the Culver City stairs. Here is the official map for Baldwin Hills Scenic Overlook, which shows you were the pay lot and visitor’s center is. Park on Jefferson for free. It’s a short walk to the trailhead. 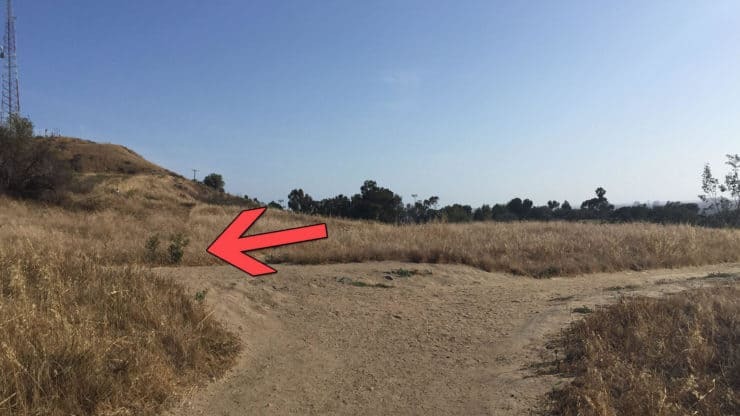 The Baldwin Hills Scenic Overlook trailhead is clearly marked. Head in and hike up to the left. After about 0.15 miles, the trail comes to a big junction. From here people start the step climb. Instead, make a hard left and start hiking the switchbacks. The trail will continue to criss-cross the stairs as your hike climbs. Always hike straight through. Around 0.6 miles, there’s a trail junction. Heading right brings you to the road. Hike left instead. 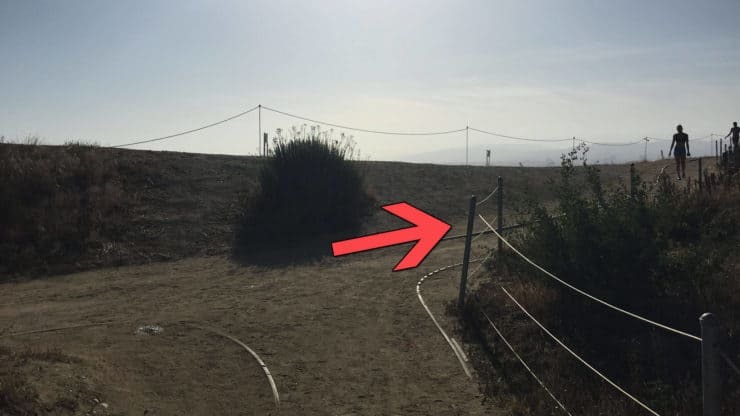 As you near the Baldwin Hills Scenic Overlook access road, the trail breaks apart. Hike right toward the road. 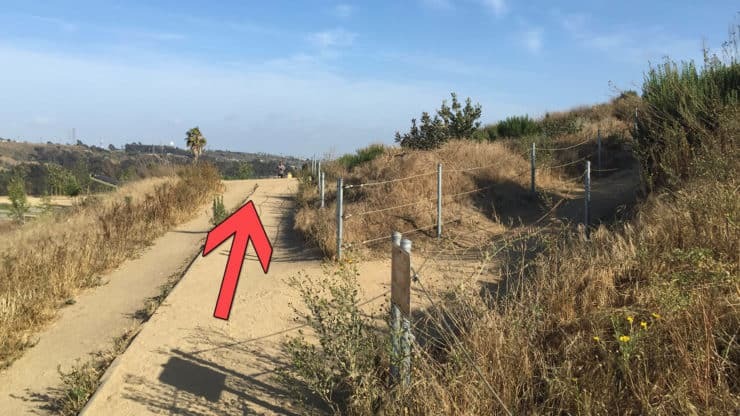 The trail will follow the Baldwin Hills Scenic Overlook access road. At about 0.75 miles, hike the hard left to break off from the road and continue to hike on the switchbacks. At about 0.9 miles, hike straight and pass the steps up to the right. Shortly after that, hike along to the right and wind up the trail to the back of the hill. 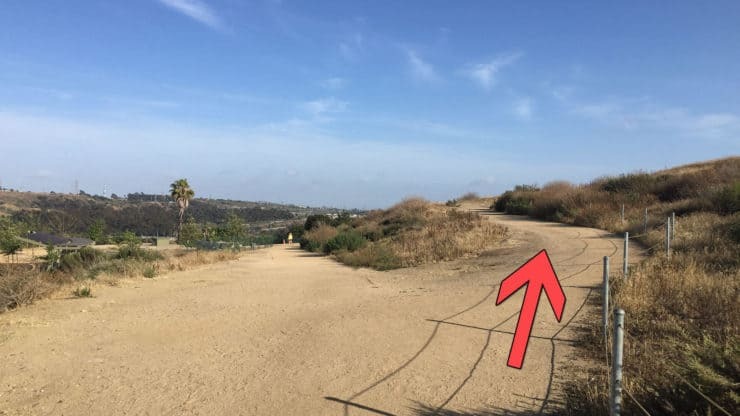 At the intersection, hike right to the Baldwin Hills Scenic Overlook. You made it! Soak in the views. Head back on the trail but stay right at the T (instead of hiking back down the hill). 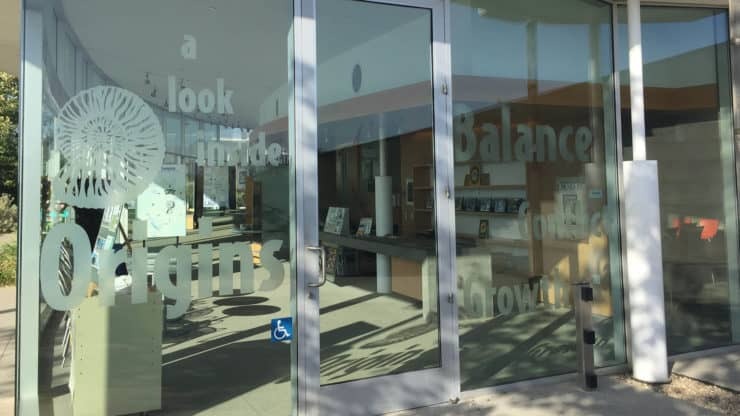 You’ll arrive at the Baldwin Hills Scenic Overlook visitors center. If it’s open, check it out. There are also interpretive displays offering insight into the local fauna, wildlife, and history. Hike back down the way you came. 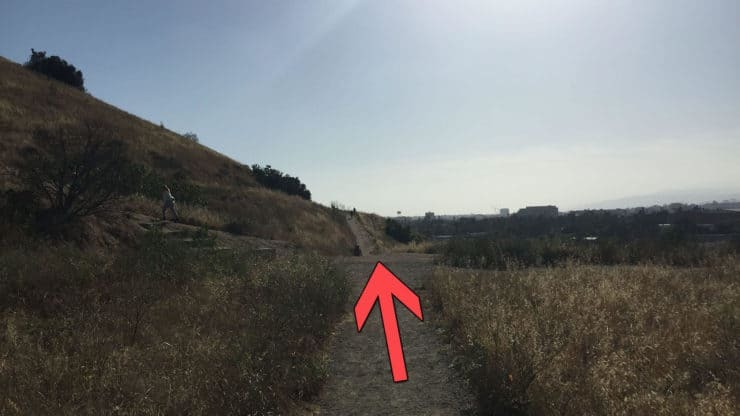 If you’re short on time, bail by taking the famous Culver City stairs down.